Home » Altcoins » What is Waltonchain (WTC)? It was launched in November, 2016. Snowy days in China, creating the perfect atmosphere for a project that aims to combine blockchain technology and RFID (radio-frequency identification). It’s a Chinese project, a genuine, trustworthy and traceable business ecosystem with complete limitless data sharing and absolute information transparency. It refers to the info exchange and communication between physical devices connected trough internet network. Basically, physical devices connected to the network MUST be verified under the same IoT service provider. As a result, the centralization of IoT means that autonomous cooperation and immediate transaction can’t be effectively reached due to the complexities of the trust relationship between stakeholders outside of the centralized network. So, according to the developers, once hosting an IoT network on the blockchain, the VIoT can provide decentralized access to the blockchain by RFID technology. Since the blockchain is open sourced and every transaction is recorded in the chain, trust issues are fading away, hence – safer trading between stakeholders. Charles Walton (now you figured out why they called it Waltonchain? ), the person who patented the RFID in 1983, imagined the technology as one simple process that uses electromagnetic fields to attach a digital identity to a real-world object by using small chips connected to some objects. 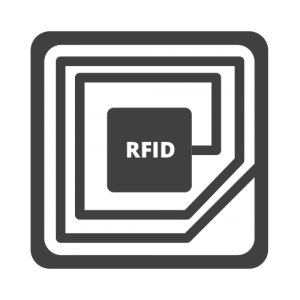 Even though that RFID has been in existence since World War 2, in recent years RFID has started to be used in a lot of industries. Animal chips, toll booths on highways, retail industry, pharmaceutical industry, and etc.. The team members are mostly Chinese and Korean elite talents from the circles of business, academy and investment, and they are: Do Sanghyuk, Vice Chariman of the China – Korea Cultural Exchange Development Committee, Director of the Korea Standard Producsts Association, Chairman of Seongnam Branch of the Korea Small and Medium Enterprises Committee, Chairman of Korea NC Technology Co., Ltd., Senior Reporter of IT TODAY News, Senior Reporter of NEWS PAPER Economic Department, Director of ET NEWS… Seriously?? How old is this guy?! Also we have Xu Fangcheng, Business Administration graduate, Supply Chain Management Director of Septwolwes Group Ltd.. Well, this guy looks younger. Those two big guys are the founders of Waltonchain, the brains behind, the almighty Do and XU, being followed by Senior Advisors Kim Sukki and Yhu Yanping, Chief Experts Mo Bing and Wei Songjie, and other team members. The whole structure of the Walton system is made out of sidechains, or how they call it, parent chains and subchains. The parent chain is intended to open up the complete supply chain system of the clothing industry. The token used in this project is called the Waltoncoin or shorter WTC. With a totall supply of 100,000,000 WTC’s, this Ethereum token was issued and assigned to each account in accordance. Block reports are updated every 60 seconds and up to 255 transactions can be included in a block, which proves and shows their stability. 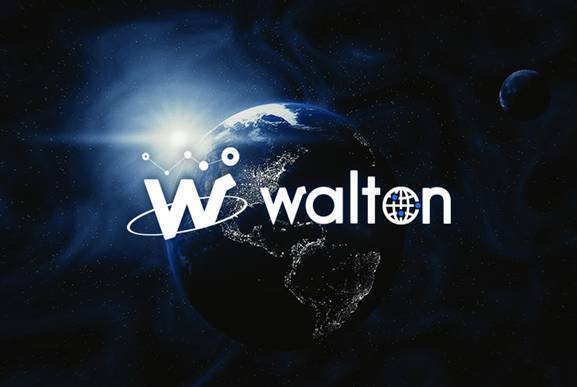 The Waltonchain is used as the public ledger of Waltoncoin transactions, and it’s Genesis block is due to be created sometime in 2018. Although subchains can be created by anyone who is in the process, the management of the subchains is undertaken by the parent chain. 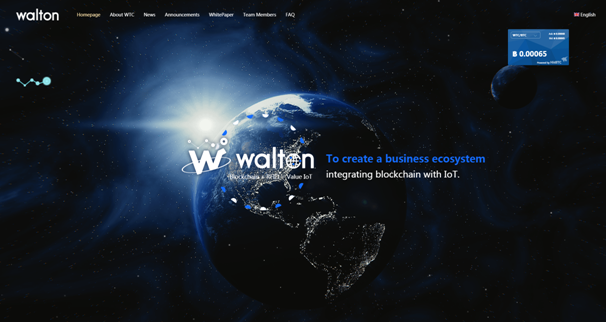 Waltonchain. The Waltonchain uses the PoST (Proof of Stake & Trust) mechanism, which provides adjustable difficulty for each node to ensure that integrity is rewarded. While the accounting node may set a minimum cost for the byte fee (I.e., fees for network usage), the transaction node may set a maximum cost. When botch conditions are met, the transaction would be sent to the blockchain. First step is to apply the Walton ecosystem for the clothing industry, and as items aare being created and manufactured, RFID is generated for each product, all being recorded by each production node. Each production node is connected to the RFID reader which is connected to a master node, which is connected to the internet, giving it an option to communicate with other master nodes, and the whole process creates a production block. Simple, huh? This whole process is being used trought the manufacturing, transportation.. And once the product arrives to it’s vendor, each store is regarded as a master node. This node can give customers rewards according to their consumption in the form of WTC. According to the developers, applying Waltonchain to the clothing industry, out-of stock problems, slow turnover in warehousing management, and other common problems are now past. As already mentioned, out-of stock problems, slow turnover in warehousing management and other IN PROCESS problems, being big PLUS, Waltonchain is meant to be a trustworthy, traceable and fully transparent business ecosystem. It is suspected that a complete supply chain will be ultimately created, including logistics, production, stores, sales and after-sales services. Now, the main thing, how to buy WTC which can’t be bought with Fiat currency? Well, you would have to buy some other currency first, most recommended would be Bitcoin of Ethereum which you can buy using a bank of debit – credit card trough Coinbase, and then just swap it with WTC at an exchange such as Binance. As already mentioned, the Waltonchain team have developed a clothing system integration solution based on RFID technology, and that is all in the Phase 1.0 of the project. BUT! During Phase 2.0 of the project, the RFID chips will be in mass production to be used in the retail and logistics industry. During this phase, the logistics industry will be able to achieve full path logistics information on the chain. Followed by the first 2 phases, phase 3.0 is the middle of the dream come true. The whole technology will be applied to the manufacturing stage to achieve traceable customization of smart packaging, included the purchase of raw materials, production and assembly, and packaging. The last phase, will involve the upgrade of the hardware and improvement of data structure, which is needed in order for the first three phases to be complete success, and giving Waltonchain a possibility to be used worldwide.